Commerce Garage is the preferred digital marketing agency for 30+ franchisee locations across North America. 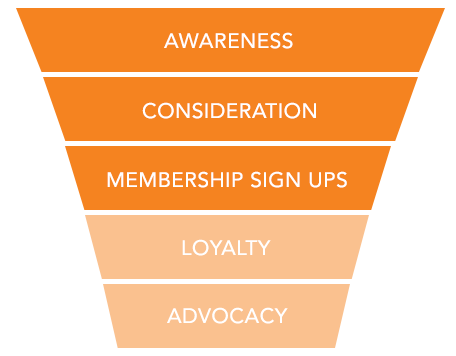 With our proven ‘full-funnel’ digital strategy, execution, creative and optimization of paid advertising, SEO and website conversion optimization we accelerate membership sign ups, revenue and profitability for each individual location. 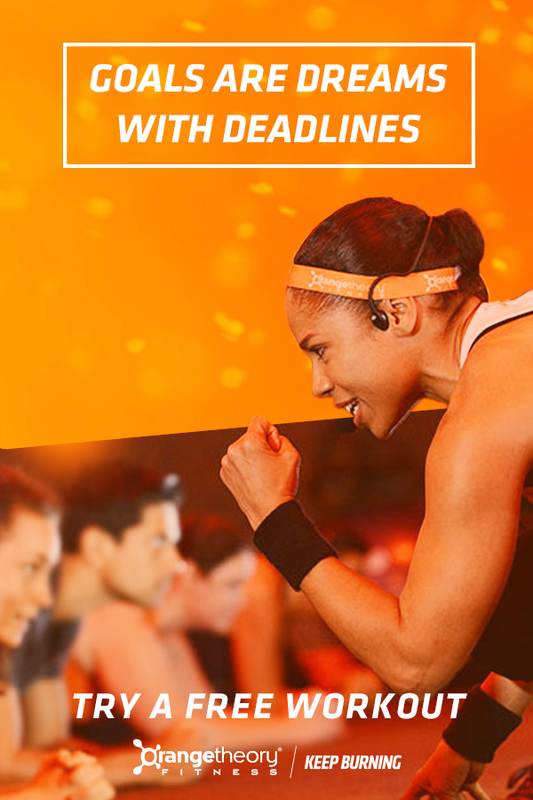 Orangetheory® Fitness is one of fastest growing fitness franchises in the world. The company was ranked #60 in Inc. magazine’s Fastest Growing Private Companies List and #255 in Entrepreneur’s 2016 Franchise 500® list of the top franchises. 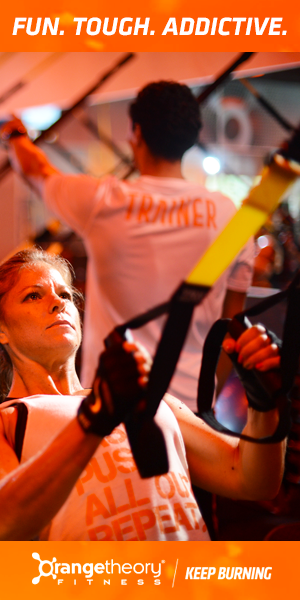 As a disruptive leader in a competitive space, Orangetheory Fitness is continuously looking for ways to grow its market share and truly change the way people experience exercise. Commerce Garage was approached by OTF Canada in Spring 2017 to help scale it’s lead generation initiatives while improving the lead-to-membership efficiency. At Commerce Garage we quickly accepted the challenge and the opportunity to work with an innovator like Orangetheory Fitness and help them meet their business and marketing goals. We kicked things off by overhauling the landing pages to be both mobile and desktop optimized. We then implemented an incoming lead management solution that efficiently distributed and notified studio owners of qualified leads to follow up with. We rebuilt OTF’s Facebook Ad and Google Search accounts to get them in a position of scalability. Lastly, we overhauled the ad creative and messaging to focus on generating high-quality leads and elevating brand value proposition. We’ve built and delivered advertising laser-focused on driving awareness, consideration, lead generation and membership sign-ups from a single ad impression. We utilized web analytics and other tools to track and monitor how people are engaging with your website to gain valuable insights from real website visitors about their perception of your brand and offering. This unique approach allows us to uncover optimization opportunities to continually help increase your website traffic, leads, membership sign-ups, net sales and overall profitability. We launched uniquely crafted Facebook and Instagram Ads to drive conversion performance across all stages of the marketing funnel. 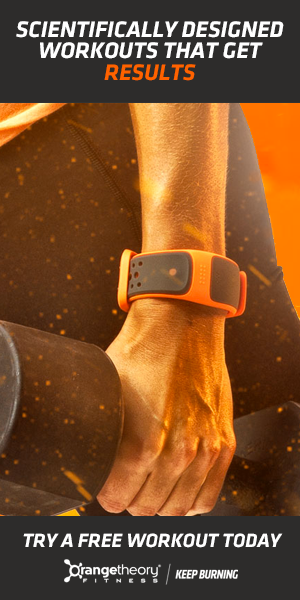 Launching a mix of video ads, link ads, image ads geared towards delivering both a massive uplift in awareness and conversions coupled with our proprietary optimization techniques was the cornerstone to Orangetheory Fitness’s success in reducing their costs per acquisition. Since launch we have significantly improved lead volume, cost per lead and lead-to-member sign-up efficiency, delivering more traffic and revenue for fewer dollars. 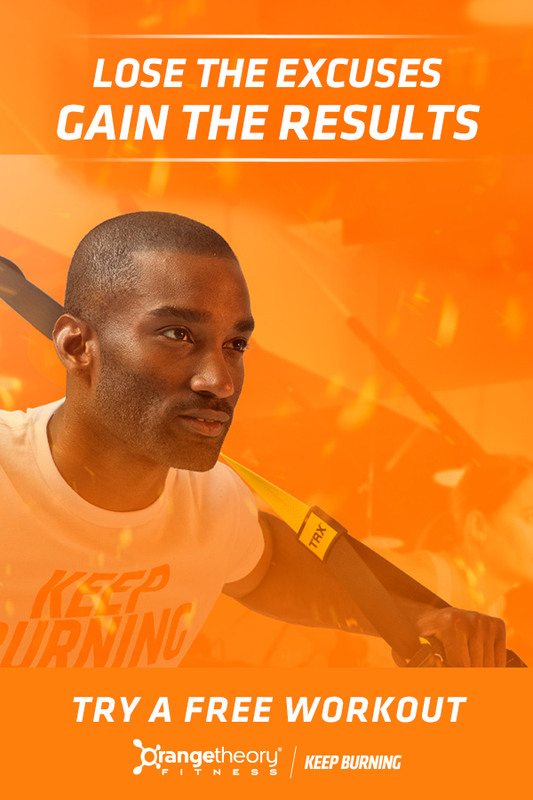 A key pillar to our success has been eliminating low-quality leads by removing contest centered advertising and deliver only ad content and messaging based solely on the values of Orangetheory Fitness. 📍[Near You] Join the studio that has proven results for ALL fitness levels, in a fun and supportive setting. Experienced coaches and new workouts every day! Try us for FREE, and find out why Orangetheory Fitness is the #1 studio in Canada. 📱💻 Reserve your FREE workout today! ✔ No commitments. No contracts. Want to experience the Orange Effect? #Canada, this is your chance to try us for free! Our heart-rate-monitored training is designed to keep heart rates in a target zone that stimulates metabolism, burns fat and increases energy. The result is the Orange Effect – more energy, visible toning AND extra calorie burn for up to 36 hours after your workout! 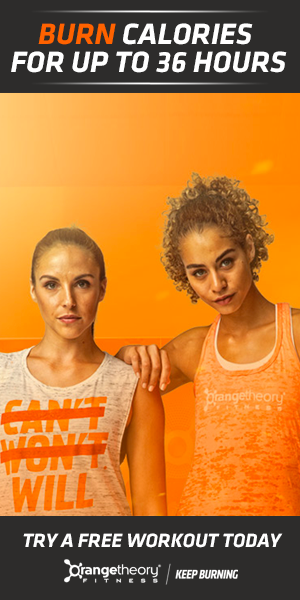 Try us for free, and find out why Orangetheory Fitness is the #1 studio in Canada. Make 2018 the year that you get more out of your life. We are here for you every step of the way. Join the studio that has proven results, in a fun and supportive setting. Experienced coaches, new workouts every day, and no contracts! Try us for free, and find out why Orangetheory Fitness is the #1 studio in Canada. Google Search is an important channel for capturing users at the mid and bottom sections of the funnel. The initial target was to first engage with high-intent users that are the likeliest to convert, i.e. “gym memberships near me”. Next, we moved up the funnel by expanding audiences and keyword targeting based on relevant insights such as keyword/market research, personas, etc. Here, we tested the efficacy of targeting various other fitness-related terms such as “lose weight before wedding”, using a number of different methodologies like copy testing, CRO, and landing pages. It is important that each location has an individual set of campaigns that aim to saturate the geographical area surrounding it. Several different campaign types were run for each location, separating keywords and ideas based on their position in the funnel (i.e. branded keyword campaign is bottom of funnel, fitness/gym keywords are middle). Daily, weekly, and monthly account/campaign optimizations were made to continuously decrease CPL (Cost Per Lead), increase volume and lead quality as much as possible. This particular strategy was custom built and tailored to each location. As we learned from our data we optimized the account toward the goal of lead volume and lead-to-membership signup rates. 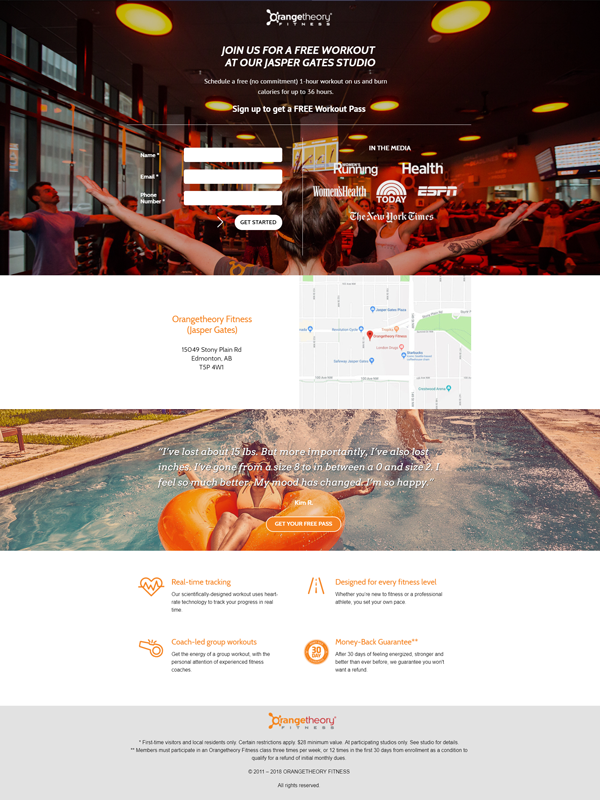 With these optimized campaigns we can then extrapolate the build (along with what we have learned) to any Orangetheory Fitness location in the world enabling Commerce Garage to start each studio location in an optimized state. Each location then receives its own optimizations and daily maintenance. Google Display is an integral component of the AdWords channel and mainly serves to support search through various remarketing opportunities. 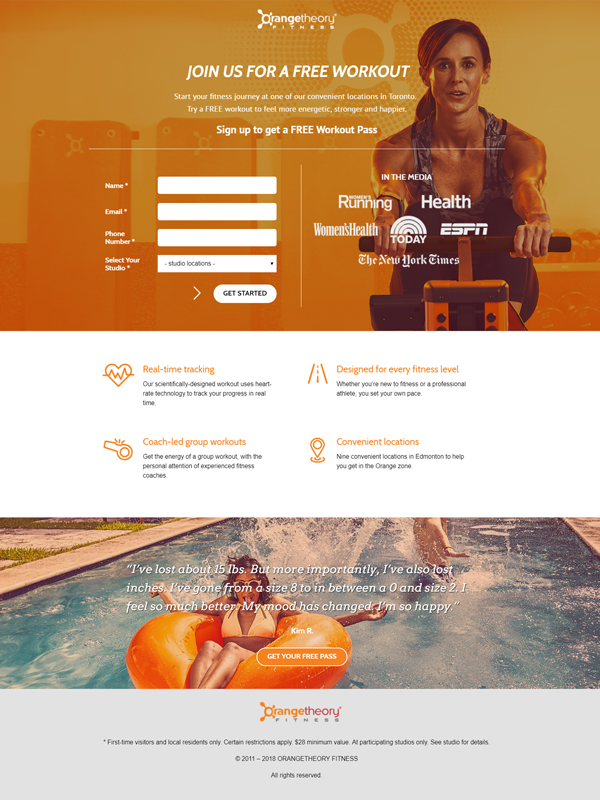 Big, vibrant creative that prominently displays the USPs of OrangeTheory will help capture user attention in various stages of the funnel. Utilization and testing of the various audience segmentation options (i.e. remarketing, interest, etc.) will ensure we can spend in the most effective channels while also expanding reach as we progress. Constantly refreshing and testing creative is also a must for advertising on the GDN. With over 70 million people in the U.S. and 150 million people worldwide Pinterest is a must-do for channel exploration. It’s early days for the Pinterest Ads platform with lots of available inventory at a fraction the cost of mature digital channels of Facebook and Google. We believe we’ll be able to drive high volumes of website traffic at low CPM’s and CPC’s making Pinterest a viable and scalable option for growing leads and membership sign-ups. With businesses that have locations in multiple geographical areas, it’s important to remember that not all consumers will respond in unison. This is especially true with Orangetheory Fitness, which has studios in various diverse regions. Because of this, A/B testing has been a proven method for finding the exact messaging that speaks to their audiences the most. 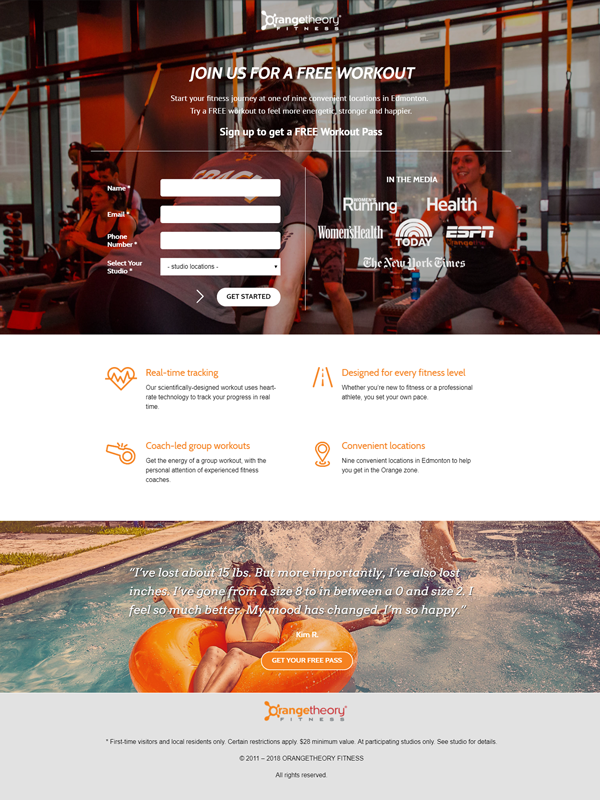 Starting with an educated hypothesis, we tested elements such as copy, creative and page layouts to create perfect location and goal-specific landing pages to introduce Orangetheory Fitness to new audiences and encourage them to sign up for trial workouts. Leaning on our experience in digital, and industry standards layered on top of your user data we build landing pages and performance funnels optimized for conversions and exceptional user experience. We’re excited to partner with Orangetheory Fitness Franchises around the world and continue to rapidly grow its brand, membership and franchise footprint.